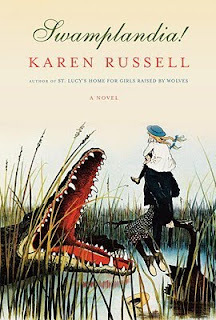 Book(ed) Passage: Exclusive Interview with Karen Russell, Author of Swamplandia! 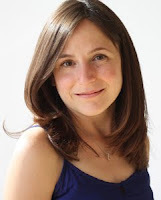 Exclusive Interview with Karen Russell, Author of Swamplandia! Book Passage contributing blogger Dax Proctor interviewed author Karen Russell about her new book Swamplandia! ($24.95). Russell will be appearing at Book Passage in the San Francisco Ferry Building on Thursday, February 17, 2011 at 6:00 pm. Don't miss it! Dax Proctor: Swamplandia! has grown out of the story, “Ava Wrestles the Alligator” from your short story collection St. Lucy’s Home for Girls Raised by Wolves. Have you always thought that you would develop this particular piece into a novel? Karen Russell: When I was a student in Sam Lipsyte's workshop at Columbia, I had serious novel-envy of my classmates who were wading waist-deep into their novels. I had never written anything longer than maybe 10,000 words, and suddenly I had this story, "Ava Wrestles the Alligator," that seemed to have the DNA of a longer work. Or at any rate, I found that it was growing like kudzu—I could really see the world of this island, these sisters, their alligators. The story felt like the seedling that contained the novel in miniature. Whatever powerful gravity Osceola succumbs to had ahold of me, too. Now, I could never have foreseen the challenges in store for me when I wrote that twelve-page story. You think you're running up the street to buy milk and a carton of cigarettes, and you end up driving across the country. Writing Swamplandia! was alternately a terrifying, boring, exhausting, blissed-out journey. It's all set in and around South Florida, but psychically I felt like I went coast to coast. Stories are hard-work too, of course, but I was shocked by how much of yourself you can pour into the hungry mouth of a novel. DP: You wrote “Ava Wrestles the Alligator” when you were 24 years old. Returning to it some years later, did you find that your voice or writing sensibilities have changed since writing “Ava”? KR: I think I feel a little bit more in control of my own narrative effects. Or a shade more conscious, as a writer, just a little bit earlier, of what I might be up to. I'm more interested now in the ways that my characters' personal stories intersect with these larger American narratives, too. And I'm pretty sure that my writing itself is changing but I don't think I'm the best person to comment on the nature of that change—I don't have the right distance to gauge it. I really hope I'm changing for the better, and not, say, stalling out and backsliding like those flightless cormorants in the Galapagos. DP: Did writing a collection of short stories prepare you in some way to write a novel? KR: Sure, I don't think I could have made the attempt otherwise—but I also find that many people think of stories as sort of "practice" novels, and I don't think of them that way at all. They really are different animals; and each story seems to have its own peculiar demands. Ditto this novel, which required a lot of weird metaphysical scaffolding and planning and felt nothing like writing a "long" short story. But one thing writing stories taught me is to pay attention to sentences—there is so much pressure on each line, each image. Like poetry, the suspense and meaning is often happening on the level of the line. DP: Was your approach to writing a novel any different from your approach to the short story? In writing the novel, did you encounter any unforeseen pitfalls? KR: I was like Mister Magoo, writing this novel—what pitfalls? I wondered, as I shuffled down a construction beam over eight lanes of traffic. I had no idea what I was getting into! At first I thought that novelists had permission to be endlessly digressive; I ended up writing lots of material about the Bigtrees' origins, the Library Boat, etc. that I cut because it didn't serve the larger story. Time, in a novel, works so much differently than in a short story, and this took some big adjustments on my part—what should be scene, and what should be summary, for instance? Swamplandia! was a challenge because I wanted to juggle several different worlds, several different levels of reality, and to calibrate the sentences so that readers could exist in Ava's own delicate, uncertain state during her underworld trip. To prolong a kind of uncanny hesitancy for much longer than the length of a short story. I am really pleased with the final result, probably in direct proportion to how much work went into getting all those worlds to spin at once! I revised this novel much more heavily than I've ever revised any story, and as I heard Julie Orringer say recently, it feels like revising a novel requires a Caterpillar and a bulldozer, big earth-moving equipment, in addition to the fine comb you use on the sentence-level for story revision. DP: Are there any other Floridian writers who you enjoy reading, or authors who write about Florida as their subject who you enjoy? KR: Oh, definitely. Flannery O'Connor, Carson McCullers. Joy Williams who writes so beautifully and ferociously about the Florida Keys and the "Neverglades," as she calls them in "Ill Nature." I also love Floridian homeboys Carl Hiassen and Dave Barry. Wallace Stevens and his "Idea of Order at Key West." Wells Tower has some excellent stories about the Gulf coast. DP: It’s not unusual for readers and reviewers alike to compare one writer’s work to another, or situate their work within a tradition of writing. Many have compared your work to writers of the Southern Gothic tradition like Flannery O’Connor. To what extent do you agree with those claims? Do such claims inspire you in some way, or do you find that that they have a confining or limiting influence? KR: I am always over the moon for any Flannery O'Connor comparison! At the same time I am a little wary, only because I would never invite comparisons between my stories and a Flannery O'Connor story—how doomed and presumptuous would that be, and how humiliating for me? For both of us—poor Flannery. She's doing her blood-red Catholic Gothic thing, and here I am putting a little hat on an orangutan on ice skates. That's like saying, "hey, has anybody noticed the similarities between my community theater work and Meryl Streep?" Or, "hey, don't you think this sentence reads like Tolstoy?" A part of me is overjoyed by these comparisons; I love O'Connor and Carson McCullers and their keen, off-kilter way of seeing the world has undoubtedly altered the way that I see the world. I'm grateful to them for showing me what fiction can be and do. So it is inspiring, insofar as these are absolutely the women who made me want to write books in the first place. At the end of the day, though, it's you and your words—if I could outsource certain paragraphs to Flannery or Eudora, I definitely would. I'm never self-consciously applying "Southern Gothic conventions," trying to wedge a story or a chapter into a tradition. DP: Are you a writer who reads while you’re working on a project? If so, what were you reading while working on Swamplandia!? KR: When I'm really stuck, I always pick up a book that I love. Certain stories, like Calvino's "The Dinosaurs" or Denis Johnson's "Emergency," are reliable spell-busters that make me want to write and write. Just a few that I recall: Autobiography of Red by Anne Carson, Pastoralia by George Saunders, Stranger Things Happen and Magic for Beginners by Kelly Link. The Road, by our American prophet, Cormac. In the late stages of drafting, I read Bradford Morrow's The Diviner's Tale in galleys and really felt that it was a sister book to Swamplandia!—his wonderful protagonist, Cassandra, is a female dowser who I think would have been great pals with Ava and Ossie. It was inspiring to me to watch Morrow spoon-bend several genres in that book—to write a literary, supernatural thriller. DP: What are you working on next—a novel or another collection of short stories? KR: Right now, both. It feels wonderful to be writing stories again; I'm also excited to be in the world of a new novel. Last year I had a wonderful fellowship at the Cullman Center in the New York Public Library where I had access to Dust Bowl diaries and photographs from the Farm Securities Administration. Now I'm writing a novel set during the Dust Bowl drought, and trying to fuse some of the earthier, concrete details with the apocalyptic, Biblically-bad weather.